There are few phrases in a recipe more depressing than “stir constantly” (besides, maybe, “zucchini blossoms,” because where do you find those?). 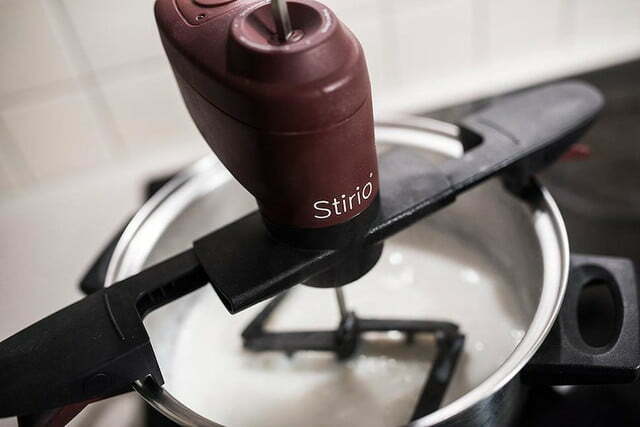 It means you’re about to stuck at the stove, getting a face full of steam as you wait for your sauce to thicken. Meanwhile, your veggies sit, un-chopped and unloved. While there are videos of chefs giving the ins and outs of stirring techniques, it’s one kitchen task that’s pretty difficult to mess up. 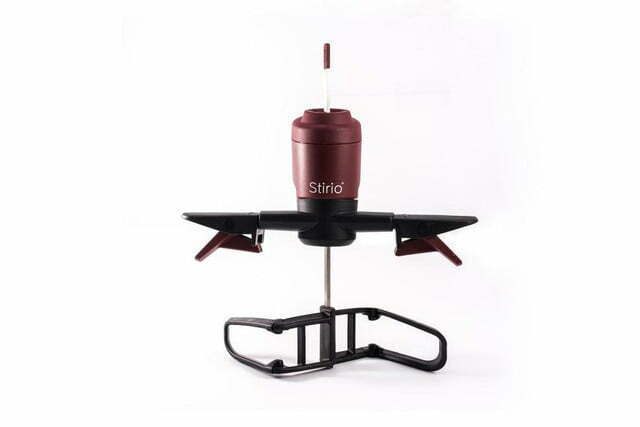 Mixers handle the job on room-temperature liquids, but once you start heating the pot, it’s all manual labor. 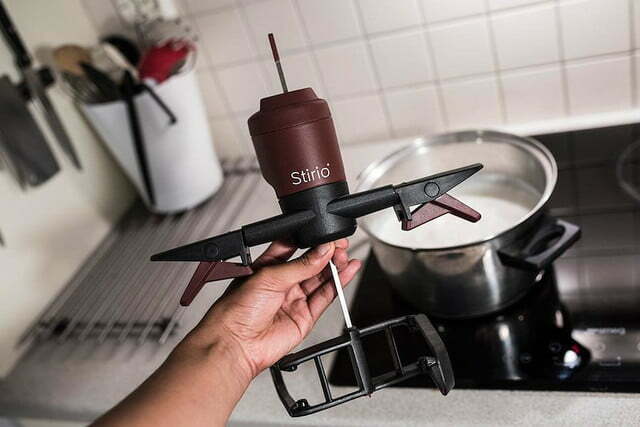 Now there’s a way to take the ease of a mixer, or that one wizard from Harry Potter who can stir his tea merely by twirling his finger, to the stove. 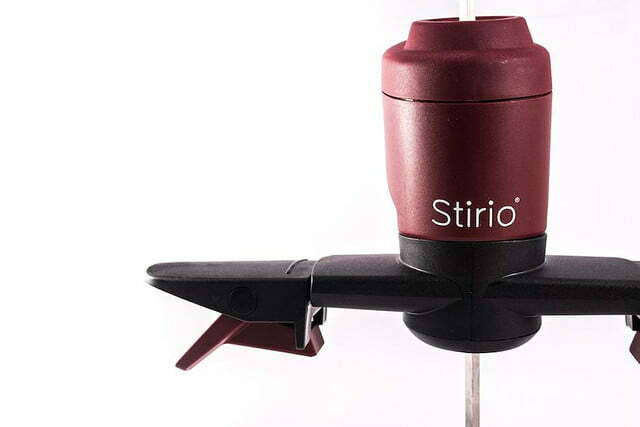 Unikia recently introduced the newest version of the Stirio, its automatic pot stirrer. 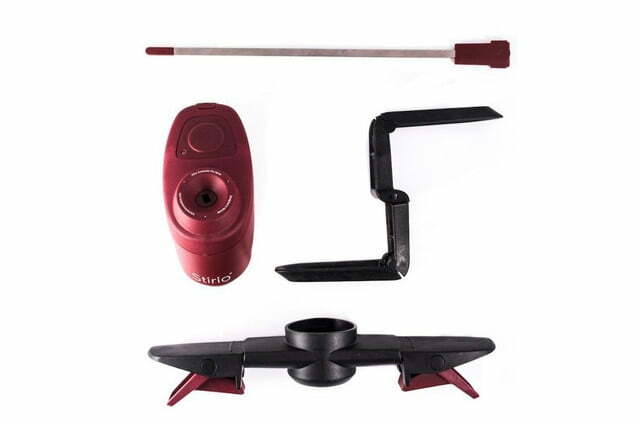 Boasting a quieter motor and a one-size-fits-all blade, the gadget is adjustable to fit any pot between 5.9 and 9.8 inches (15 to 25 centimeters) wide and 2.9 and 7 inches (7.5 to 18 centimeters) tall. 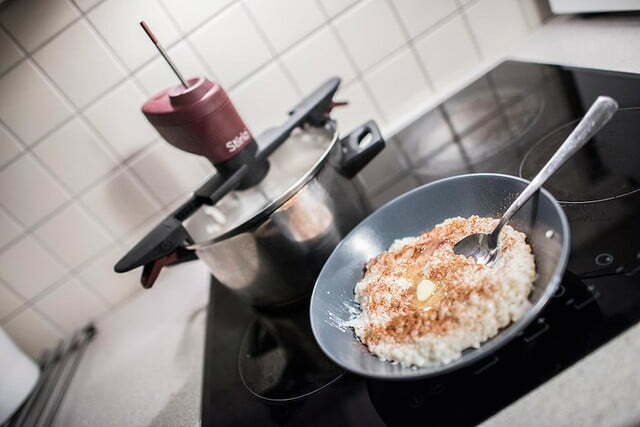 Unlike a mixer, it only has one speed setting, not a bad idea when you’re stirring scalding-hot liquid. 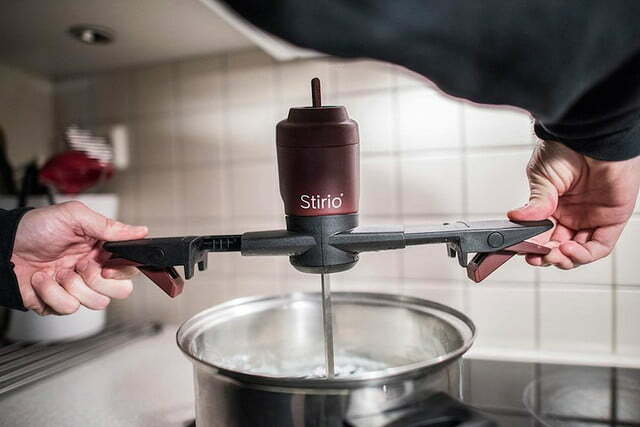 With an hour of stir-time, the Stirio is likely to handle most recipes before needing to be recharged. 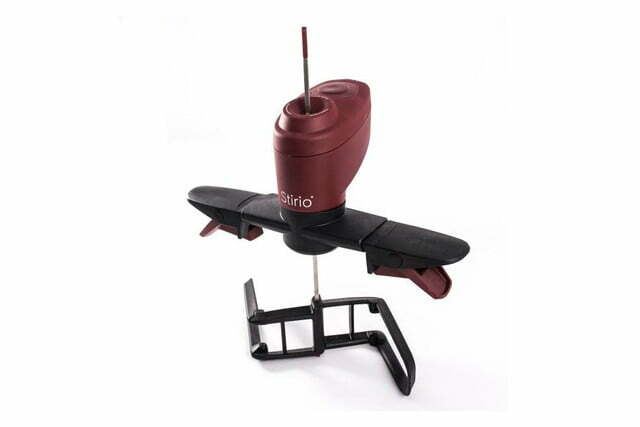 Everything but the motor is detachable and dishwasher safe, a pretty important quality in a labor-saving appliance. 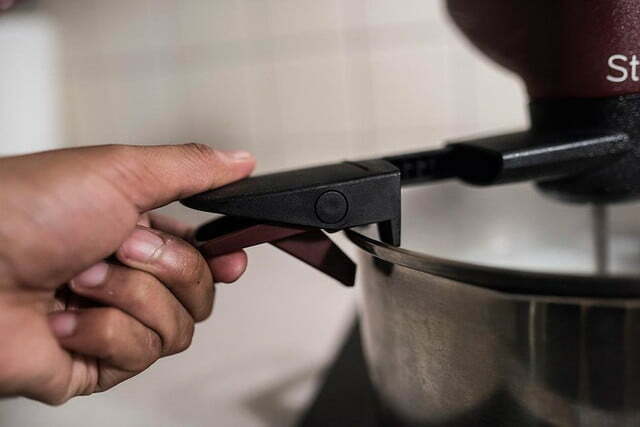 The device definitely seems like it would save you some toil and trouble on some more labor-intensive dishes, like risotto, sauces, and jams. 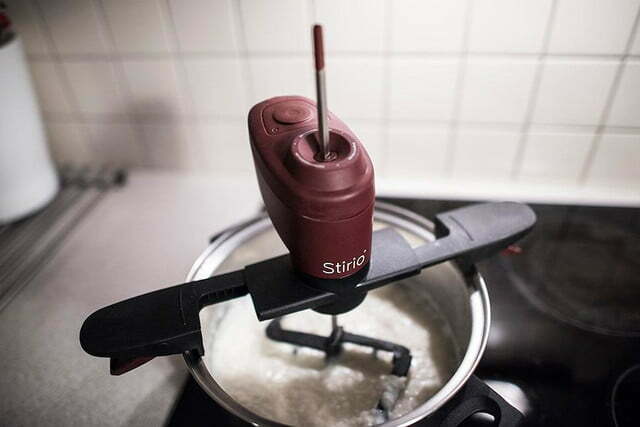 If you stir more pots than the Real Housewives, then the $62.46 device might save you some time and effort in the kitchen.